Currently, we use Constant Contact for our marketing. Constant Contact has obtained Safe Harbor certification. Constant Contact complies with the U.S.-E.U. Safe Harbor Framework and U.S.-Swiss Safe Harbor Framework as set forth by the U.S. Department of Commerce regarding the collection, use, and retention of personal information from European Economic Area member countries and Switzerland. Constant Contact has certified that it adheres to the Safe Harbor Privacy Principles of notice, choice, onward transfer, security, data integrity, access, and enforcement. Our EEA/CH Safe Harbor Notice does not apply to data that we collect through our Sites. For the purposes of our Policy, when we refer to “you” or to a “customer” we mean any past, current or prospective customer of Naif Productions LLC, including any visitor to one of our Sites. In some situations you may provide us with your personally identifiable information, which could include your name, street address, telephone number, email address, job title, payment card number, other financial account number(s), mother’s maiden name or other family names, date and place of birth, criminal record, arrest record, driver’s license number, photographic image, and any other information we collect about you that by itself is not personally identifiable information but if combined with personally identifiable information could be used to personally identify you. You may provide us with personally identifiable information when you enter a contest; complete a survey; apply for a job via the Sites; make a purchase; download an e-book; subscribe to certain services, email notifications and/or newsletters; visit and/or use certain portions of our Sites; provide comments, reviews, feedback, or testimonials about our products or Services; and any other transactions between you and us on or in relation to our Services. We may use your email and other addresses and contact information for customer support, required notifications, product and policy updates and marketing releases, but we will not use this information for anything else not described in this Policy. When you access our Sites whether by computer, mobile phone or other device, we automatically collect certain information about your use of our Sites (this information may include without limitation: geographical location and IDs of your computer, mobile or other device; bandwidth used; system and connection performance; browser type and version; operating system; referral source; length of visit; page views; IP address or other unique identifier for your computer, mobile phone or other device; your mobile carrier) using technologies such as cookies and web beacons. When you download and use our Apps, we may also collect additional information about your mobile device, including the hardware model, operating system and version, mobile network information and time zone. If you choose to use our referral service to tell a friend about our Services, we will ask you for your friend’s name and email address. We will use the information you provide to automatically send your friend an email inviting him or her to visit our Sites. Your friend can opt out of receiving future promotional/marketing messages from us by clicking the “Unsubscribe” link found in the footer of our email messages. Your friend may also contact us using the information in the “How to Contact Us” section of this Policy, and request that we remove their information from our database. Treatment of your friend’s information will be subject to the terms of this Policy. We use reasonable and diligent efforts to maintain accurate information on our customers, and have adopted and implemented reasonable industry standard security procedures to protect any such information collected. We constantly monitor our systems, which are protected using industry-standard security measures. Although Constant Contact will use reasonable efforts to secure network communications and our Sites, we cannot guarantee that the information submitted to, maintained on, or transmitted from our systems will be completely secure. A customer may (i) access any of their personally identifiable information that we collect and maintain, or (ii) correct, update or delete their personally identifiable information maintained by us, in each case by contacting us by telephone or mail using the contact information provided below. We will try and respond to your request promptly and in all cases within 30 days. To protect customer privacy and security, we reserve the right to take reasonable steps to verify a customer’s identity prior to granting access to or processing changes or corrections to such information. We will retain a customer’s personal information for so long as its account is active or as reasonably needed by us to provide our Services. We may also retain and use such information as necessary to comply with our legal obligations, resolve disputes, and enforce our agreements. 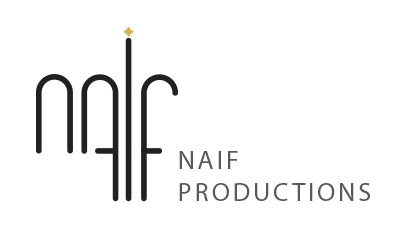 If you provided your email address or phone number on the Sites to receive information from Naif Productions LLC, you agree that Constant Contact, and our fulfillment partners may contact you using the contact information you provide us regarding our products and Services, such as offers, support and product updates. Constant Contact and our fulfillment partners may make such contact by email, phone and/or text, including the phone number you provide us, and we may use automated dialers technology in order to more efficiently connect you with one of our representatives. Your mobile phone carrier’s standard message and data rates may apply to text messages. You are not required to provide your phone number as a condition of purchasing products or Services, and you can opt out at any time as described in the “Opting Out” section found below within this Policy. We may communicate with a customer through email using the customer’s personal contact information on file in our systems to inform the customer of new products, important industry news or information about Services and upgrades provided by Constant Contact. We may disclose information collected from a customer to our independent contractors and business partners who have agreed to (i) hold this information in confidence, and (ii) not use it for any purpose except to carry out the services they are providing for Constant Contact. Such contractors and business partners include those hosting our Services or other data; managing the functionality of our Services; hosting customer relationship management, marketing automation, customer service and other software platforms on our behalf; processing credit or other payment card payments; collecting delinquent accounts; fulfilling and processing orders; delivering products you have ordered; conducting background checks if you submit an application for employment; assisting with marketing and promotions; and enabling us to send you email. Naif Productions LLC has a number of partner programs designed to maximize our customers’ ability to use our Services and to purchase complementary products and services that may be used in tandem with our Services. We may disclose information collected from a customer to one or more trusted partners for the purpose of such partner(s) providing assistance to the customer in its use of the Services and for the purpose of marketing complementary or value-add products and services to the Customer. In each case such trusted partner will have agreed to (i) hold this information in confidence, and (ii) not use it for any purpose except for the purposes described above. Naif Productions LLC may also disclose aggregate, anonymous data based on information collected from customers. Should a sale of Naif Productions LLC ever occur, collected customer information may be transferred along with the sale but the information will be treated in the same manner as set forth in this Policy. In the event of any significant changes to the manner in which your information is handled, we would notify you by a prominent notice on the Sites, or by email. If you use the blog, comment or discussion forum or chat room made available on a Site, you should be aware that any personally identifiable information you submit there can be read, collected, or used by other users of these forums, and could be used to send you unsolicited messages, and could be potentially searchable through search engines. We are not responsible for the potential misuse by third parties of any personally identifiable information that you choose to submit in these various forums. We believe that protecting the privacy of the very young is especially important and for that reason we will never collect or maintain information on our Site from those we actually know are under the age of 13, and no part of our Site is structured to attract anyone under 13. Our Sites may contain links to third party websites. Please note that the privacy and other policies of any such third party website may differ materially from this Policy. We strongly recommend that customers review the privacy policies of any such third party prior to submitting personally identifiable information. Constant Contact has no control over and is not responsible for the information practices of other websites, including those to which we may link and those which may link to us. We may provide widgets on our Sites that make it possible to share information on third-party platforms. These widgets do not store your personally identifiable information. Our Sites may also include social media features, such as the Facebook® or Twitter® button and similar widgets and interactive mini-programs that run on our site (each, a Feature). To the extent we use these Features, they may collect your IP address, which page you are visiting on our site, and may set a cookie to enable the Feature to function properly. Social media Features and widgets are either hosted by a third party or hosted directly on our Site. Your interactions with these Features are governed by the privacy statement of the company providing the Feature or widget. We may use web beacons (also known as clear GIFs) to access cookies and count users who visit our Sites or open our HTML-formatted email messages. Web beacons are single-pixel graphic files with a unique identifier, similar to cookies. Web beacons are embedded invisibly on web pages and emails and are stored on a user’s hard drive. You can modify your browser settings to control web beacons. We may select and post customer testimonials on our Services, which may contain personally identifiable information such as your name and/or the city, state, or country in which you live. We will obtain your consent prior to posting any testimonial with your name. If you post such content, it will be available to other users of the Services. Your posting may also become public and we cannot prevent such information from being used in a manner that may violate this Policy or the law. If you would like us to remove or delete your name or testimonial from our Services, you may contact Constant Contact using the information in the “How to Contact Us” section of this Policy. Note that copies of information that you have updated, modified, or deleted may remain viewable in cached and archived pages of our Sites for a period of time. We may post customer reviews on our Sites or Services, which may contain personally identifiable information such as your name and/or the city, state, or country in which you live. When submitting your review you are giving us permission to post your review on our Sites or Services. If you post such content, it will be available to other users of the Sites or Services. Your posting may also become public and we cannot prevent such information from being used in a manner that may violate this Policy or the law. If you would like us to remove your name or review from our Sites or Services, you may contact Constant Contact using the information in the “How to Contact Us” section of this Policy. Note that copies of information that you have updated, modified, or deleted may remain viewable in cached and archived pages of our Sites for a period of time. Naif Productions LLC reserves the right to change this Policy and other policies prospectively at any time, subject to applicable laws and regulations, by posting a prominent notice of any such material changes on the Site prior to the change becoming effective. Regardless of later updates or changes to our Policy, we will never use the information you submit under our current Policy in a new way without first providing you an opportunity to opt out or otherwise prevent such use. You may opt out of having your personally identifiable information shared with third parties for reasons other than for the express purpose of delivering the purchased product or service requested and except as required by law. To do this, you may contact us via email Connect at NaifProductions.com. You may opt out of receiving future promotional/marketing messages from us by y clicking the “Unsubscribe” link found in the footer of our email messages. Please note that if you opt out of promotional/marketing messages, you may continue to receive certain communications from us, such as administrative and services announcements and/or messages about your account/profile. If you have any questions or concerns about this Policy or the way your information is being used by Constant Contact, or should you wish to contact us for any other reason described in this Policy, you can contact us (i) by email directed to events@naifproductions.com or (ii) by mail addressed to Naif Productions LLC, 461 Central Park West, Unit 2B, New York, NY 10025, attention Legal /Privacy Compliance. Effective Date of Policy. This Policy was last updated as of the last date set forth below. © 2018 Naif Productions LLC Any rights not expressly granted herein are reserved Naif Productions LLC.